Potlucks are always full of rich, sweet, and gluttonous dishes. I decided that I didn’t want to bring anything in a crock pot or dessert like. Luckily, I knew one of my co-workers was bringing chili. Hmm, what goes with chili, bread! 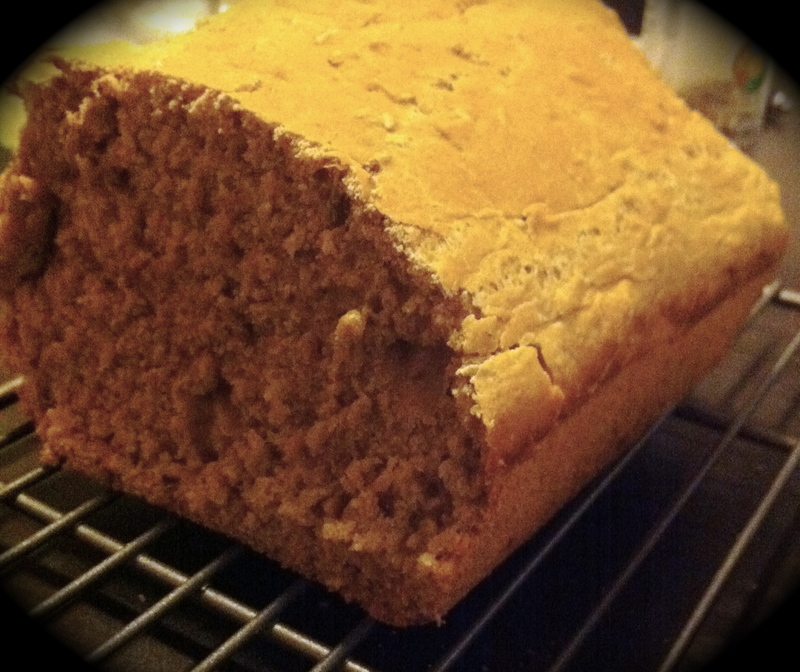 This bread turns out to be thick, hearty, and easy to make! There’s no waiting for yeast, just mixing and baking. So easy and quick that I made this bread twice on Sunday. Of course, I needed to make a batch and taste it before bringing it to the pot luck. By the way we ate 1/2 a loaf in one day. Everyone at the pot luck liked the bread too. My favorite part of making the bread was being able to use home-brew, and spent grains from a recent brew. The only thing I would change, is to make this bread more often. Preheat oven to 350 F. Lightly grease a 9” x 5″ loaf pan. In a large mixing bowl, combine flours, grain, baking powder, and salt. Bake in preheated oven for 55 minutes, or until a toothpick inserted into center of the loaf comes out clean. Enjoy! This entry was posted on Monday, November 14th, 2011 at 9:57 pm	and tagged with beer, bread, grain, home brew, pot luck and posted in Home Cooking, Uncategorized. You can follow any responses to this entry through the RSS 2.0 feed.